Keen.dry vs Gore Tex vs M-Select Dry: What's the Best Waterproof Footwear? 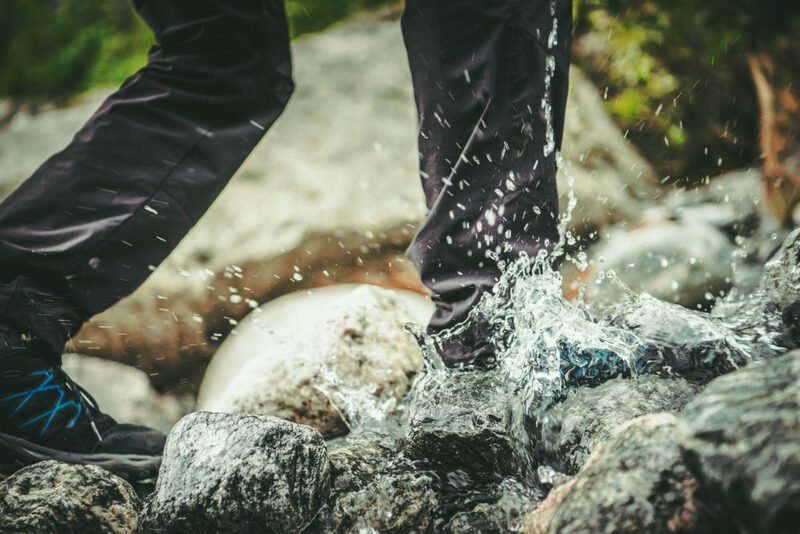 When finding the best waterproof footwear there are several waterproofing technologies that you’ll want to compare: Keen.dry vs Gore Tex vs M-Select Dry. All of these are excellent options, but there are some key differences you’ll want to know before choosing your next waterproof shoes. This way you’ll be sure to get the right shoes that meets your specific needs when it comes to waterproof footwear. What’s better – Keen.dry vs Gore Tex vs M-Select Dry? Choosing the correct footwear not only provides comfort, but it provides technical aspects that will keep you safe and warm in the harshest of conditions. Knowing what kind of terrain that you’ll be in is the first step to choosing the correct footwear. The next step is knowing the advantage of each type. No matter what material you choose, keep in mind that no material is 100% waterproof AND breathable, but these are the closest on the market to achieve the most versatility in a shoe. Waterproofing, breathability, durability, and comfort are the most important things to consider. Discomfort can cause foot pain and stress on joints and muscles, and wet conditions without proper insulation and protection can lead to conditions such as frostbite in cold weather, or even worse, affect your immune system that fights off sickness. What is Merrell M-Select Dry? Keen.dry vs Gore Tex vs M-Select Dry: What Are the Best Waterproof Hiking Shoes? Merrell, over three-decades-old, knows their way around building technical footwear. Merrell M-Select Dry is a waterproof and breathable technology that allows their shoe to be used in both harsh outdoor conditions and for everyday use. Originally designed and built for a handful of outdoor enthusiasts, Merrell to this day still makes one of the best hiking boots in the industry. Merrell’s M-Select Dry is a patented technology designed to both keep you dry, as well as wicking moisture away from your feet. This technology allows breathability in the same shoe that you’d wear on a hike during rainy weather. Although this technology works in a similar way as Gore-Tex and Keen.Dry, you won’t get the same waterproof effectiveness. 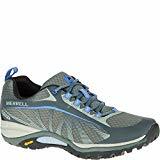 Merrell M-Select Dry is an excellent choice for hiking in wet conditions, but not the best choice if you plan to fully submerge your foot in water. Some of Merrell’s highest-rated waterproof boots are the Moab 2 Waterproof, Chameleon 7 Waterproof, the Women’s Siren Edge Waterproof, and the Jungle Moc Nubuck. These vary from hiking boots to casual every-day footwear. Keen was founded in 2003, making the company newer in the scheme of outdoor footwear. Although they haven’t been in the industry as long as Merrell or Gore-Tex, that doesn’t mean they don’t know how to produce a quality product. Keen has one significant advantage over Merrell: they are made in the USA and focus primarily on boots. All of their engineering, designing, and testing goes into footwear, making them a truly specialized company. Keen.Dry is a membrane that is used in their Keen’s waterproof line of shoes to provide a waterproof outer layer while remaining breathable. This is similar to the Gore-Tex design. Another advantage of Keen.Dry is that it is treated with Cleansport Odor Control. This is a major advantage since the product is designed to wick moisture from your foot, as well as keep moisture out. Materials are sourced from all over the world, but Keen products are built in Portland, Oregon. Keen prides itself in quality craftsmanship and technology. Keen’s primary focus is to push boundaries and experiment with new ideas. Through their extensive testing, a one-year warranty is included with every Keen product that you purchase. 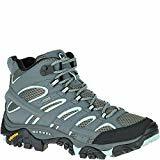 Several of the most highly rated Keen.Dry shoes are the Targhee III Waterproof, Brixen Low Waterproof Insulated Shoe, Durand Waterproof, and the Women’s Terradora Mid Waterproof. These range from a casual shoe to waterproof hiking boots. Gore-Tex is one of the oldest technologies when compared to similar waterproof materials. Even with the first commercial order placed in 1979, almost 40 years ago, it is still a leader in the industry to this today. Gore-Tex is a unique material, as it’s not brand specific. This material is offered in many different brands including both Merrell and Salomon footwear. The Gore-Tex membrane is an extremely thin layer of expanded polytetrafluoroethylene (ePTFE) that has pores smaller than a droplet of water and larger than water vapor. These pores are what allow the membrane to be considered waterproof, as well as breathable. This membrane is what sets Gore-Tex apart from Merrell M-Select Dry, and what it has in common with Keen.Dry. Gore-Tex is the most waterproof of the three different breathable materials. Typically, this thin membrane is located between a lining and an outer fabric. Although your shoes may appear wet, your feet will remain warm and dry. If you’re not satisfied with the performance of your Gore-Tex product, no matter which brand it’s in, Gore-Tex will repair, replace, or refund your product. Some of the most desired Gore-Tex footwear includes the Salomon Quest 4D 3 GTX, the Merrell Moab 2 GTX, and the Salomon X Ultra GTX Hiking Boots. Knowing what terrain you plan to use your footwear in is critical to your choice in waterproof shoes. Not only is waterproofing important, but durability, slip resistance, and comfort are all things to consider when making your decision. Although most outsoles are made of rubber, some have carbon added to the material to increase hardness. Vibram is a perfect example of this and their outsoles set the gold standard for durability on the market. Harder outsole rubber on boots tend to be more durable, but they will not be quite as slip-resistant. 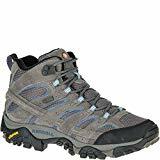 Merrell Boots are offered with either M-Select Grip, which is Merrell’s own outsoles, or Vibram outsoles, which is a third-party company used by many of the top shoe brands. M-Select Grip Pros: Built with angled lugs that grip terrain, designed to grip in any weather. M-Select Cons: Softer material that provides higher quality slip resistance may not be as durable as harder materials. 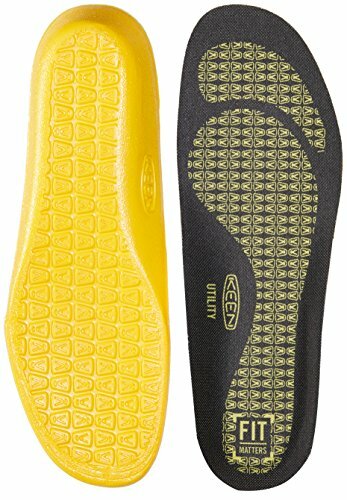 Pros to Vibram Soles: Reputable name in outer soles, used on many different brands. Versatile uses from casual-wear, work boots, hiking shoes, and mountaineering boots. Choosing waterproof footwear with the correct footbed is critical. Both the health and comfort of your feet depend on it. When it comes to footbeds, there is not necessarily a way to compare better than worse. Everyone’s foot is different, so different footbeds will be more comfortable for different people. Always make sure that the arch and heel of your foot is well supported when you try on any new shoes. Proper support is one of the most important things to look for before hitting the trail. If you are buying online this means that you may have to order more than one pair to try on and compare before making the decisions to keep them. Also be sure to wear them around off the trail and break them in before you head out on a long hike. Although you can skip this step, you risk the boot not performing well to your foot on the trail and gaining blisters or foot pain. Merrell, Keen, and Salomon all offer anatomical-supporting footbeds that are designed to help support and cushion your foot. Merrell offers the Kenetic Fit Elite Footbed. This technology offers exceptional support for the arch and heel of your foot. Heel and forefoot cushioning are also a bonus with this footbed. Keen offers the Metatomical Footbed design. This differs from Merrell because it is built-in to the shoe. Merrell’s Kenetic Fit footbed must be inserted into the shoe after you buy it. Keen’s Metatomical Footbed is designed to provide excellent support, as well as mending to the natural shape of your foot. Salomon footwear includes an EVA-shaped footbed that provides excellent cushioning. 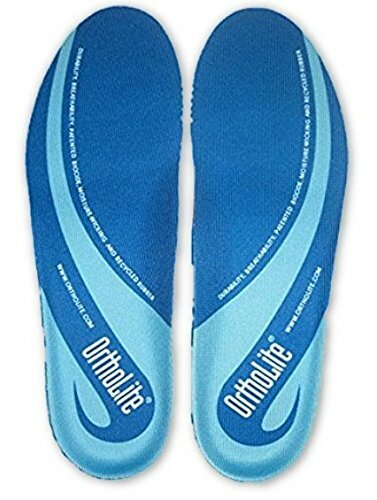 This footbed also includes the Ortholite Sock Liner, which creates a more breathable, dry, and cushioned shoe. Materials used in the shoe or boot can provide structure, durability, longevity, and even provide more reliable waterproofing. This means that choosing what material to look for in waterproof footwear depends on both personal preference and what activities you’ll be doing while wearing them. If you’re backpacking, you’re going to want a shoe that’s much more durable, made out of leather or something similar, as it will take the most abuse being on the trail for miles in a day. If you’re just going to the park on a rainy day, you may consider something a little lighter. Synthetic and mesh combo shoes tend to be the lightest. Many of Merrell and Keen’s shoes are made of leather with a synthetic mesh between each section of the shoe. This design is to provide extra breathability. Leather is the better material to choose as it is incredibly durable and has an extremely long lifespan. Synthetics won’t last as long, but they tend to be more lightweight than most leather shoes. Odor control is one thing that you definitely want to check into before purchasing waterproof footwear. As we’ve already mentioned above, no footwear is entirely waterproof and completely breathable. In other words, your feet will still sweat if temperatures are high. And sweaty feet are stinky feet. Merrell shoes are offered with M-Select Fresh odor treatment, which is an anti-microbial treatment. Although these shoes are designed to resist holding odors, none of them are perfect. It is recommended to shake a little bit of baking soda into the shoe overnight if your shoes start to smell. This method will help rid any odors as well as absorb any moisture still in the shoe. Keen footwear treats their products with Cleansport NXT, which is a well-engineered process that uses pro-biotic micro-organisms to detour unwanted odors. This is a very unique system as it uses natural microbes to do the job. 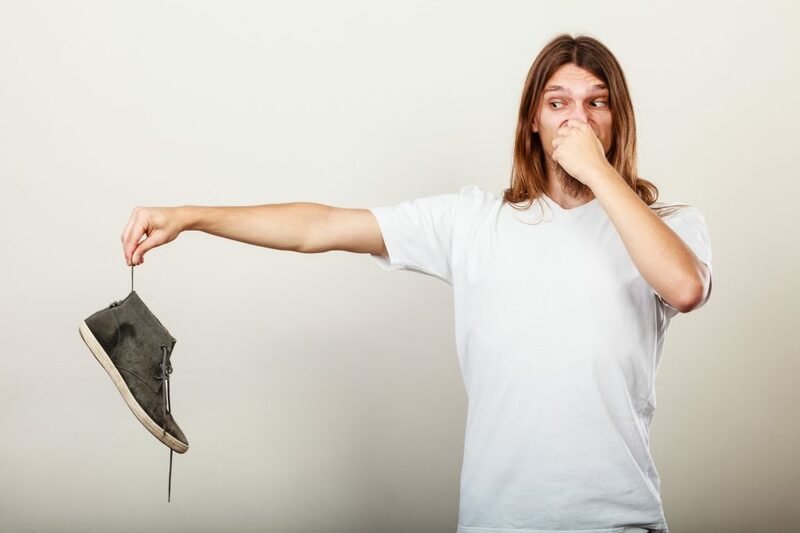 This is a non-toxic system that is both resourceful and good for the smell of your shoes. Salomon with Gore-Tex and Merrell M-Select Dry footwear come with an OrthoLite Sockliner. While it does not claim to be odor resistant, it increases breathability and helps pull moisture away from your foot. This alone can aid in odor management of your shoes. If you’re searching for footwear specifically for the winter, insulation is a crucial factor to consider. Merrell offers both M-Select Warm as well as Merrell Primaloft Aerogel to insulate their winter boots. M-Select Warm is a lightweight insulation that is designed to keep you warm, without bulky insulation. Both insulation technologies offered are generally the same aside from Primaloft being a bit lighter, but Primaloft is the first biodegradable synthetic insulation in the world! Keen footwear comes in a little stronger on the insulation side. Keen.Warm insulation is made of charcoal bamboo, which is lightweight and insulates very well. In addition to their insulation, Keen’s winter boots also feature the Keen Thermal Heat Shield. This thermal insulator is an internal foil barrier designed to retain the heat from your foot and keep your feet warm. Salomon winter boots are insulated with a gel type insulation called Aerotherm Technology. Aerotherm is compression resistant, waterproof, and lightweight. The Aerogel that Aerotherm insulation is composed of is said to be two to seven times more effective than other types of insulation. Styles of Merrell M-Select Dry, Keen.Dry, and even Salomon can vary greatly depending on the purpose of the footwear. Merrell, in particular, tends to have the most versatile selection of footwear. In general, Merrell’s boots tend to be on the traditional side of hiking boot style, usually a lighter-tone leather high-top. If you’re searching for something other than hiking boots, Merrell has several different shoe lines. This includes casual, running, winter, and even work-grade boots. Keen is very similar to Merrell in their versatility, but they tend to stick with synthetics a little more often than leather. Synthetic is usually much lighter but tends not to last quite as long. Keen’s casual line is where you’ll find the majority of Keen’s leather shoes. Salomon tends to be more technical-footwear-focused, with a minimal selection of casual shoes, they primarily focus on technical footwear for hiking, running, and winter insulation. In the end, you have to analyze the activities that you’re planning before making a final decision of what footwear to buy. If you mostly need a waterproof shoe for rainy days, a casual shoe may fit your needs. 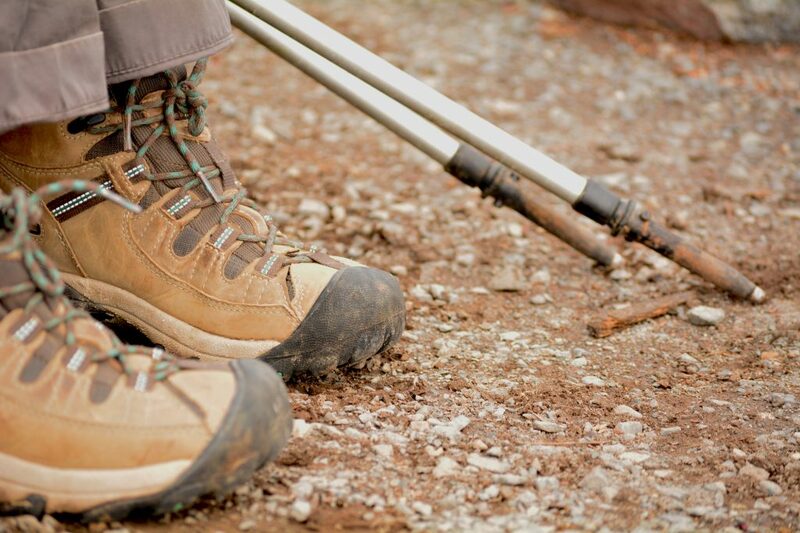 If you’re planning your next week-long hiking trip, you may want to stick more to a hiking boot style shoe. Price across brands is going to vary depending on both features and style. The more technical you go, in general, the more the price is going to go up. 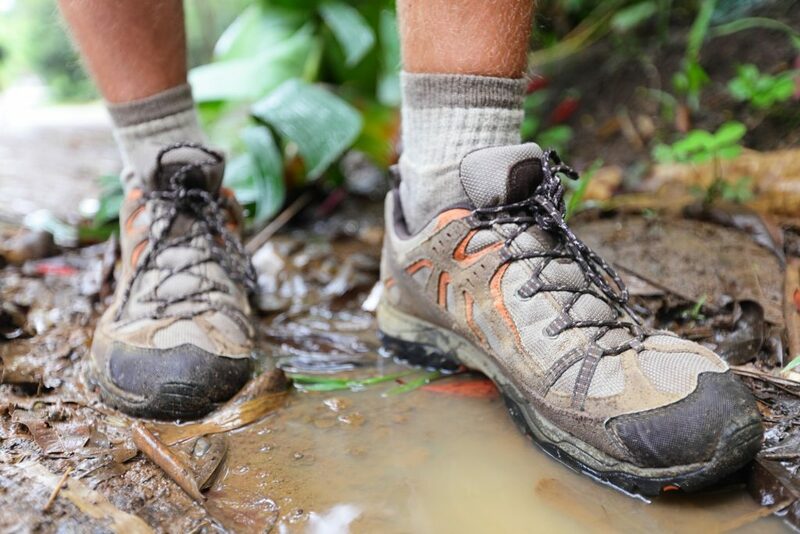 Merrell shoes and boots tend to be the most affordable waterproof footwear when you compare to Keen and Salomon, but not at the cost of quality. Merrell footwear that features their M-Select Dry starts around $100 and goes up from there. When you compare other quality footwear with waterproof technology, this is a fantastic starting price! Keen comes in just after Merrell on the price scale. Keen shoes start around $115 with the Keen.Dry technology. As with any brand, the price can exceed $300 or more with all the best features and qualities You can get a nice pair of waterproof Keens without spending a ridiculous amount. Salomon is the priciest in this guide, as all Salomon shoes that are waterproof have Gore-Tex Technology. A pair of waterproof Salomon shoes start at around $160, and a pair of hiking boots are slightly more at $165. 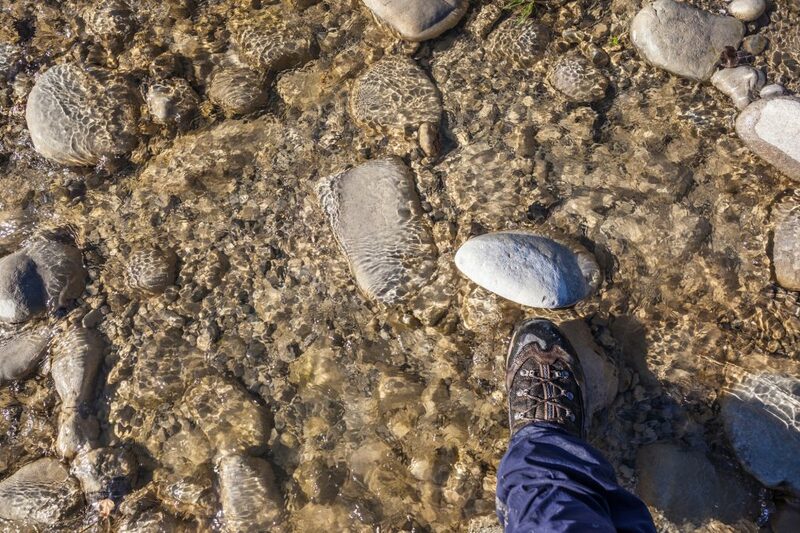 While most of us don’t think too deeply into a warranty, it truly matters when you are looking for waterproof hiking shoes. These are going to get you through some of the toughest terrain or wettest conditions you’ve ever seen. When you compare Keen.dry vs Gore Tex vs M-Select Dry, they all offer great products. While a bit short, and very vague, Merrell offers a 60-day “We’ll make it right guarantee”. As stated on their website, if the product isn’t performing the way you’d expected, they’ll make it right. This warranty is a bit of a downside to Merrell when compared to the other brand’s warranties. Keen offers a one-year warranty on every product that they offer, but it only covers manufacturing and material defects. So, keen offers a slightly better warranty than Merrell, but still not very extensive. Salomon offers the most extended warranty of the three brands. Salomon offers a two-year warranty against manufacturing and material defects. Although this still doesn’t cover any type of wear and tear or accident, it does show that Salomon is confident in their product. So confident that you will experience no issues with your footwear for at least the first two years. When it comes to Keen.dry vs Gore Tex vs M-Select Dry—is there a clear winner for the best waterproofing membrane? The fact is there are many different variables that can decide what the best waterproof hiking shoes are. As far as actual waterproofing goes, Gore-Tex takes the win for several reasons. However, the pure science behind its design and its reputation should be enough reason. Apart from that Gore-Tex sets the gold standard for the highest levels of waterproofing and breathability. The fact that you can find Gore-Tex in both Merrell and Salomon gives you a wide range of products to choose. When comparing Merrell vs Gore-Tex, both are going to be the most versatile shoes when it comes to 100% waterproof technology. From there it all just depends on what terrain you plan to use the shoes. Merrell offers both M-Select Dry and Gore Tex, as Salomon only offers Gore Tex. Both are excellent choices as long as you know how waterproof the shoes need to be. If warmth and waterproof is what you’re looking for, Keen is the way to go. With the membrane technology of Keen.Dry paired with Keen.Warm and/or Keen Thermal Heat Shield your sure to keep your feet warm and dry. One alternative thing to consider, although more for the summer months, are hiking sandals. While technically not waterproof, this is a perfect option for summer backpacking trips. In the summer, some trips require river or stream crossings. 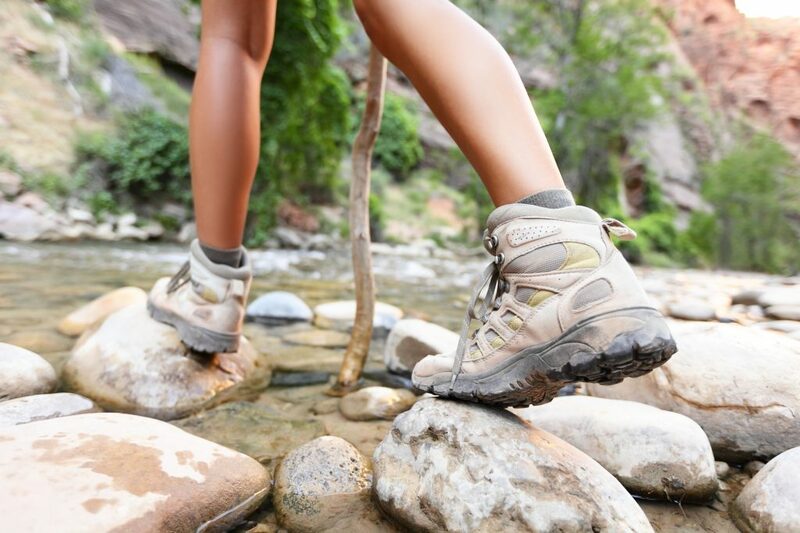 Merrell, Keen and Salomon all offer quality water shoes and sandals that are hike-ready, and eager for adventure. While you’re at it, be sure to check out my other guides on the best Merrell vs Keen hiking shoes & sandals and my detailed comparison of Merrell vs Salomon hiking shoes & boots.